Rear window defroster damage can be repaired with new Frost Fighter kits, saving readers the cost of down time and expensive glass replacement. New Frost Fighter kits use electrically conductive materials and factory components to repair rear window defroster damage. New Master and Pro defroster repair kits save readers the cost of down time and expensive glass replacement. See below for release downloads and resources including press ready images. Background – Rear window defrosters, those ubiquitous brown lines on your vehicle’s rear window that clear the glass on cold mornings, are standard equipment on most vehicles these days. While an important part of the vehicle’s safety technology, these defrosters are frequently damaged. Power tabs are knocked off, grids get scratched and connectors go missing all of which cause the defroster to fail, restricting the drivers view, often in challenging weather conditions. While easy to repair, rear window defroster damage frequently results in an unnecessary and expensive replacement of the entire rear window. The new Frost Fighter Master and Pro Rear Window Defroster Repair Kits make it easy for your readers to repair these defrosters and get themselves or their customers back on the road, saving the expense and down time of glass replacement. Readers – This news release is directed to vehicle owners and automotive oriented do-it-your self individuals or professionals with an interest in vehicle repair, maintenance, mechanics, auto body, auto glass or fleet management. Ideal for readers who value knowing about hard to find repair options that save time and money on a personal or professional basis. Rear window defrosters get a break with new repair kits. Save down time and the cost of expensive glass replacement with new Frost Fighter Defroster Repair Kits. BOULDER, Colorado, June 17, 2013 – Rear window defrosters can be repaired with the new Frost Fighter Master and Pro kits saving, down time and expensive glass replacement. The new kits save down time and the cost of unnecessary glass replacement using materials developed specifically for defroster repair. 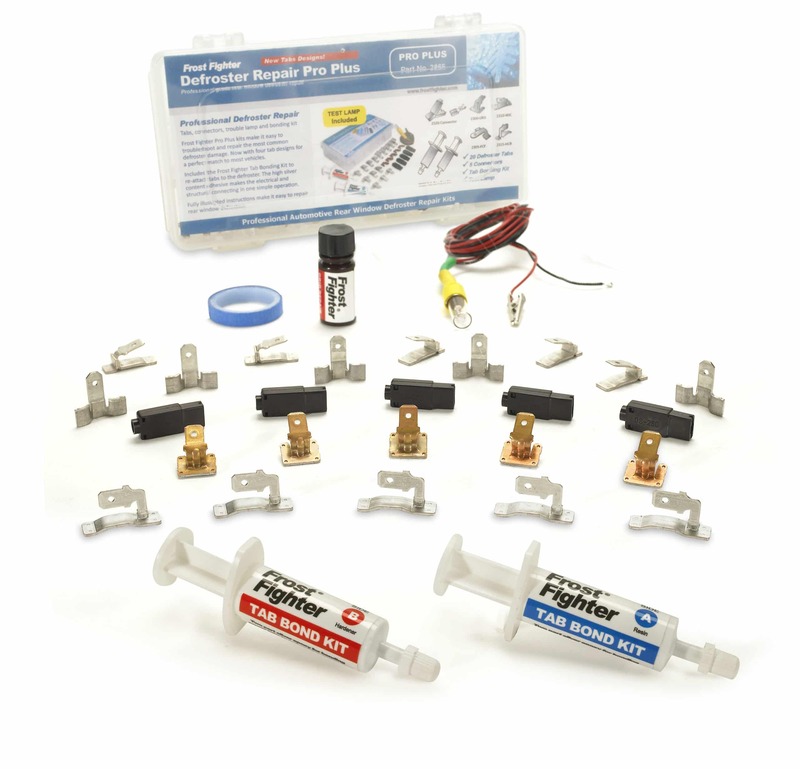 Frost Fighter Master and Pro defroster kits include factory replacement components, a troubleshooting lamp and full instructions in a convenient box. Separated or broken defroster tabs are a common source of rear defroster failure. 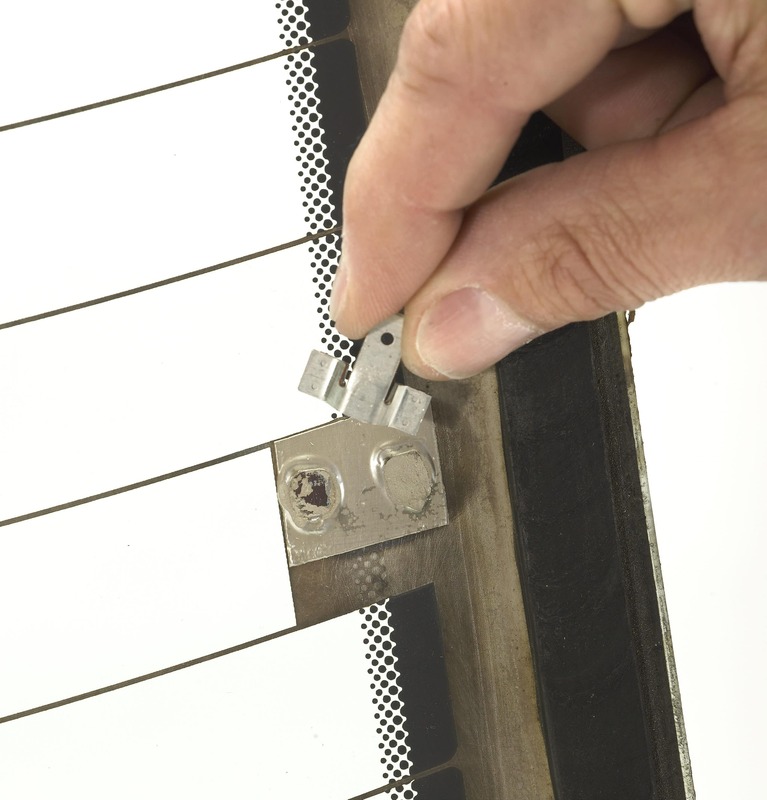 These tabs are re-attached to the defroster using the kit’s highly conductive silver adhesive, which makes the electrical and structural connection in one simple operation. 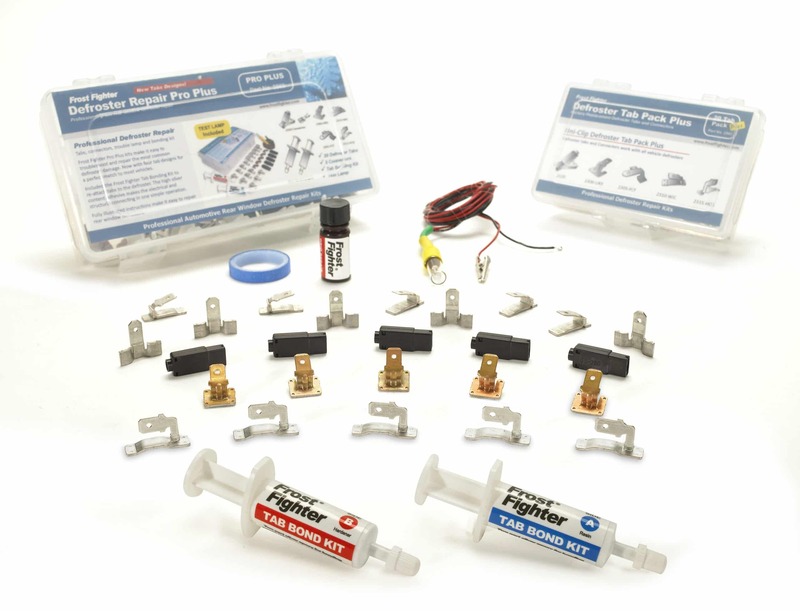 With over 80% silver, the Frost Fighter Tab Bonding Kit has the electrical properties necessary for high amperage defroster bonding. 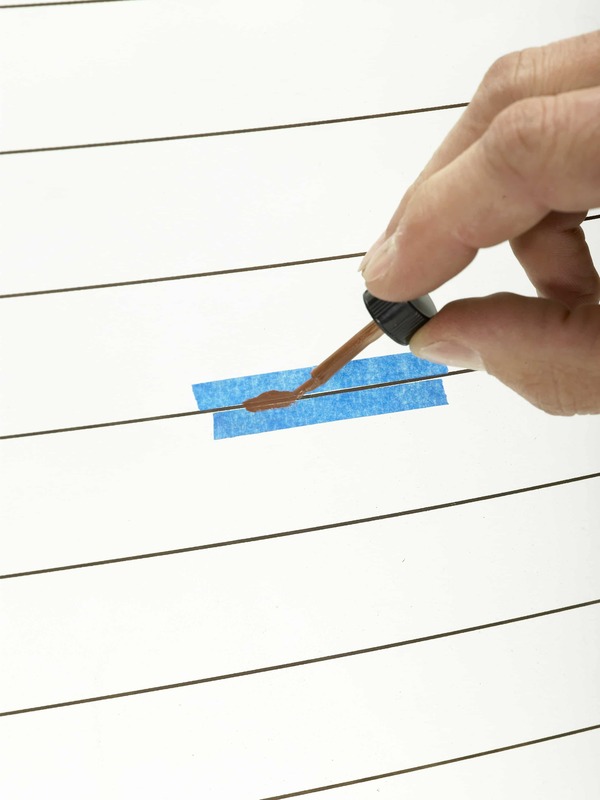 Multiple repairs are possible with a single Tab Bonding kit. Damaged or lost tabs can be replaced with the Master or Pro Kit’s replacement tabs which include the most popular designs used by Ford, Honda, Toyota, Nissan, Subaru, General Motors and other manufacturers. These tabs are drop in replacements and connect with the vehicle’s existing defroster connectors after bonding to the defroster. Scratched defroster grids are repaired using the Frost Fighter Grid Kit. The damage is masked off using the supplied tape and the missing conductive coating replaced by brushing the grid coating over the damaged area. Color matched to most defrosters, the kit allows nearly invisible defroster grid repairs of up to four inches in length. Also included are Frost Fighter universal defroster connectors which mate with all defroster tabs and connect the vehicle’s existing defroster wire leads. 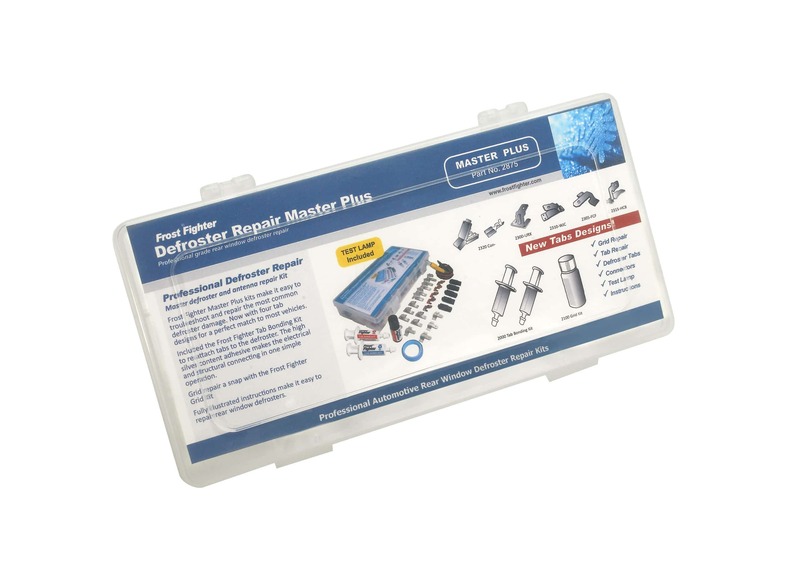 Master and Pro kits also include a defroster test lamp to speed the troubleshooting and repair of rear window defrosters. Rear window defrosters, or defoggers as they as sometimes called, are those ubiquitous brown lines on the vehicle’s rear window responsible for clearing fog, frost and ice on cold mornings and improving visibility through the rear window under adverse weather conditions. First available as an option in the early 1970’s, these defrosters have become standard equipment as an important part of the vehicle’s safety technology. 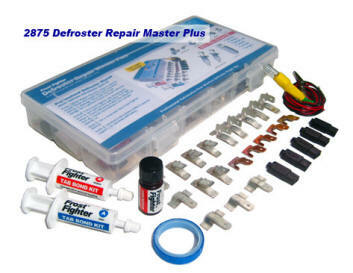 Made in Colorado, Frost Fighter defroster repair kits have been the individual and professionals choice since 1986. Planned Products has become the world leader in aftermarket vehicle defroster solutions with extensive experience in conductive adhesives and coating for defroster repair plus a full line of 12 and 24 volt defrosters and controls. See www.frostfighter.com for more defroster repair kits and troubleshooting tips. 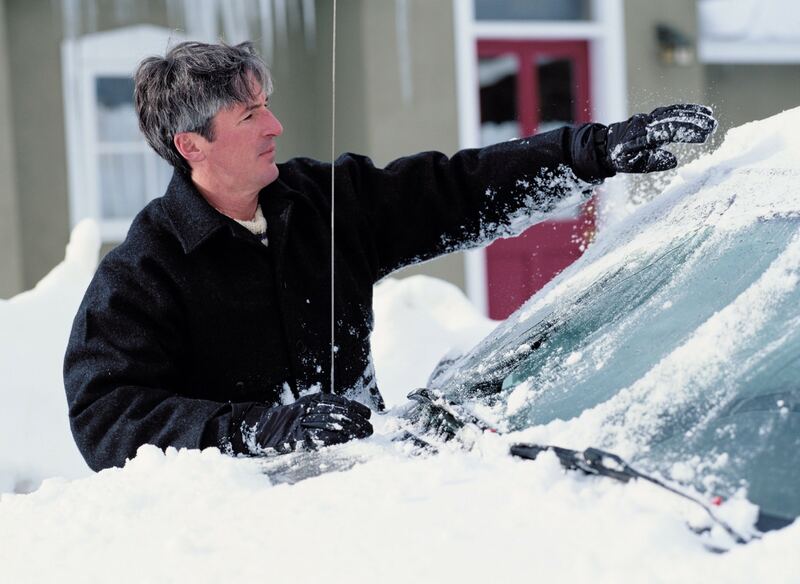 New Release, June 17, 2013 – New Defrosters Repair Kits Rear window defrosters get a break with new repair kits. Readers save down time and expensive glass replacement. defroster, defogger, demister, repair, rear window, frost fighter, rear defroster, rear defogger, rear demister, rear window defroster, rear window defogger, rear window heater, window defroster, defroster repair kit. Frost Fighter and Clear View are defroster repair and replacement product lines manufactured by Planned Products LLC of Boulder Colorado. Started in 1986 to deliver conductive coatings and adhesives to the mission critical electronics industry, Planned Products has become the world leader in aftermarket vehicle defroster repair and replacement solutions.